Like a lot of people, I bought Logic X, and have been digging my way through it. One thing I ran into was that my EXS24 sample instruments were missing the “edit” button, which you use to edit the zones and velocities associated with the samples. Googling around didn’t help, the usual things that people who don’t know the actual answer tell you what to do are “repair the permissions” and “check the disk” (which I did do), usually moving on to “reinstall everything” (which I wasn’t going to do). Turns out with Logic X, especially if you have a fresh installation on a machine you didn’t have Logic 9 on before, there are some options under “Advanced” for enabling things for advanced users. 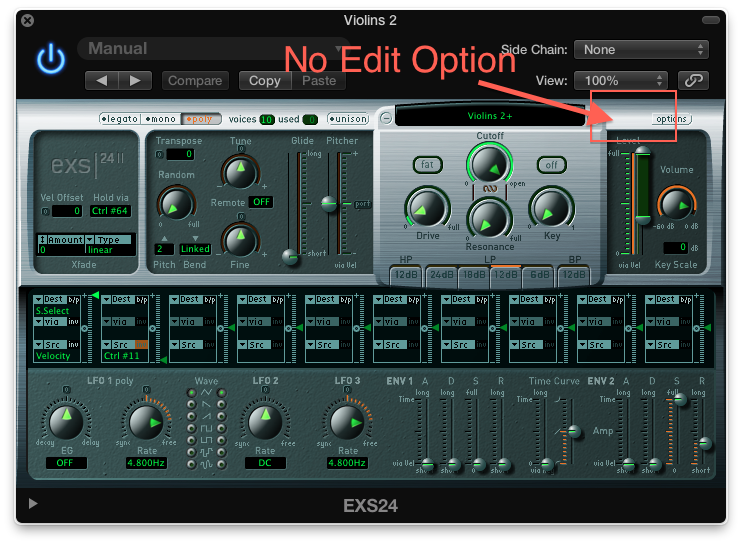 Logic X (and previous Logics) are pretty complicated pieces of software, and hiding options seems counter-productive to me – but hey, I don’t write Logic I just use it. 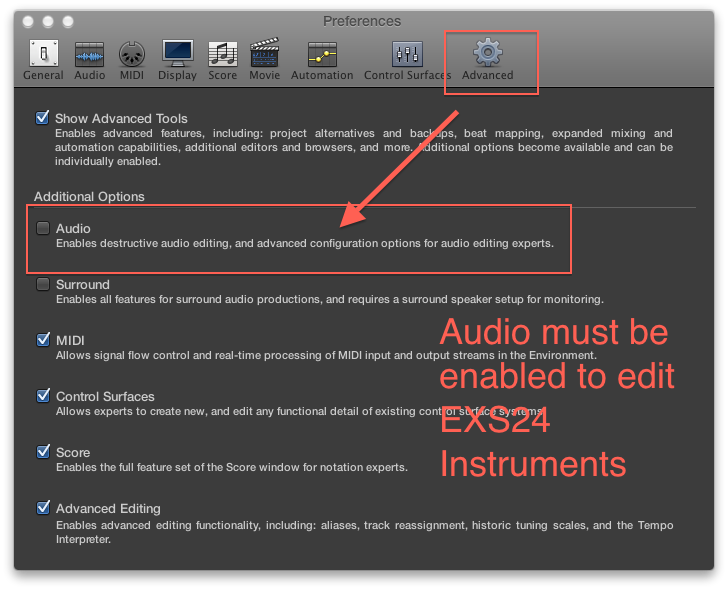 Anyway, easy solution: Go into the Logic X Preferences, and under “Advanced” you can turn on the “Audio” selector, that will enable editing EXS24 instruments again. Maybe while you’re there, you’d like to check the rest of them too. That’s up to you.